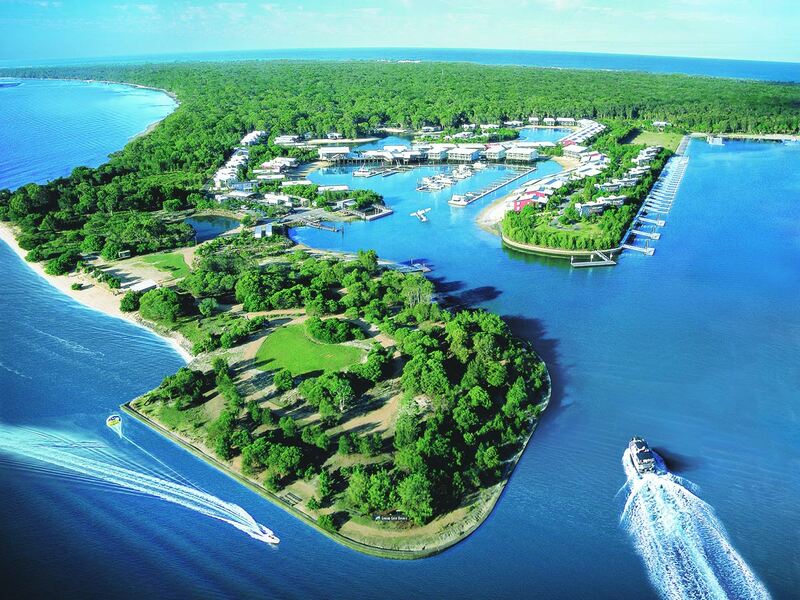 The perfect island escape awaits you at Couran Cove Island Resort. Relax, recharge and rejuvenate with an unforgettable experience tailored to suit your holiday needs. Endless possibilities await you with the promise of a unique and natural getaway. 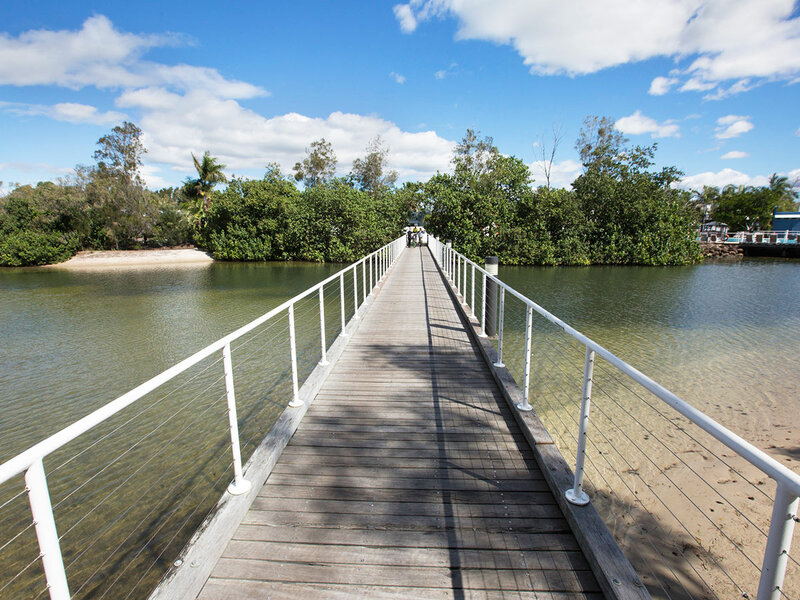 Situated on South Stradbroke Island, the island resort offers guests peaceful seclusion just a 40 minute ferry ride from the Gold Coast. 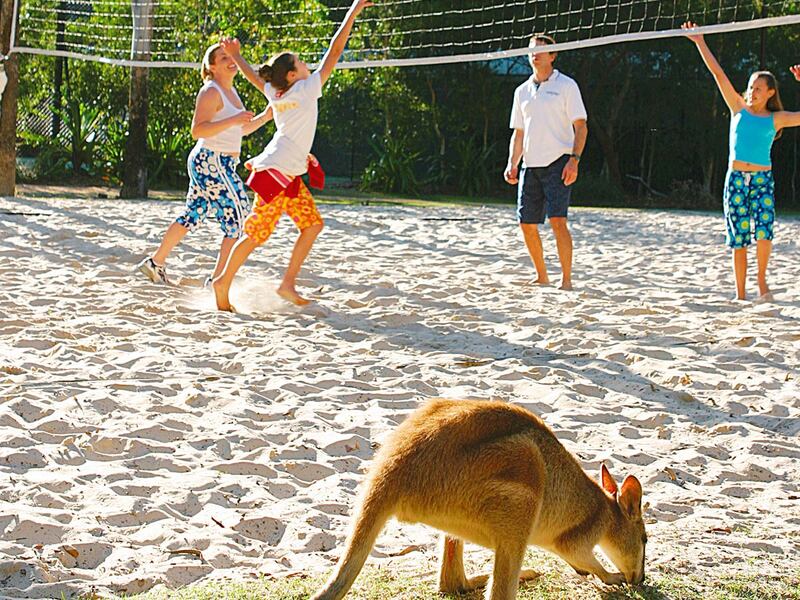 Nature and culture blend harmoniously together to create a truly Australian-styled resort. 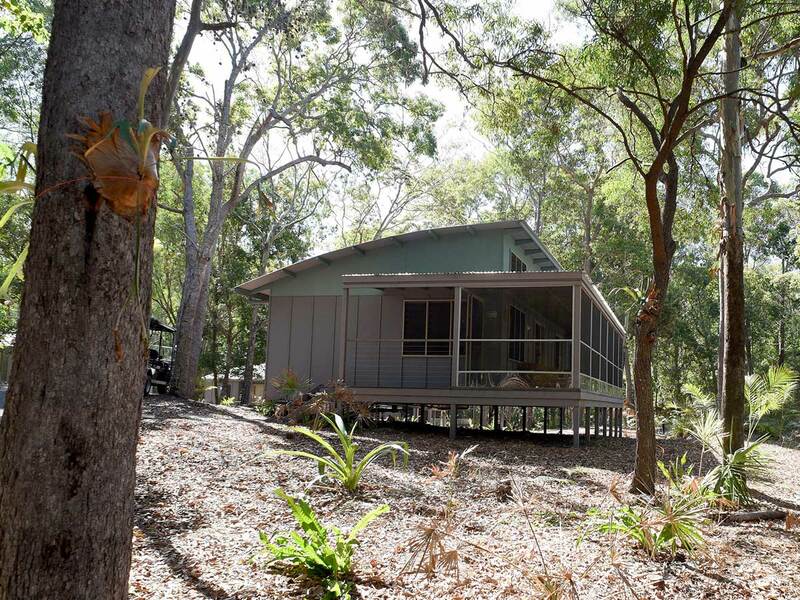 Just imagine waking up each morning to the gentle sound of nature, the call of native birds, the whisper of the breeze through abundant Banksia, secluded rainforests and the hushed roll of distant surf. 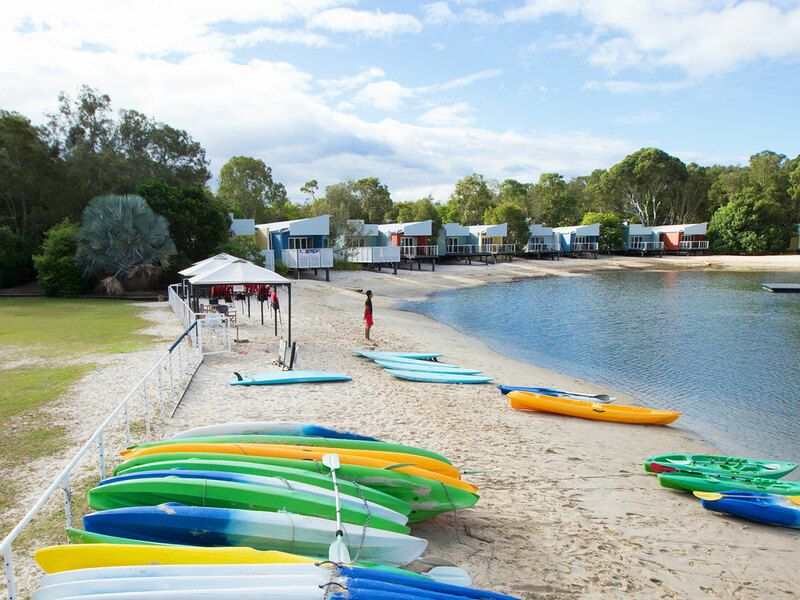 Indulge in award winning accommodation, gourmet dining, luxurious Day Spa massages, explore a range of sporting and family activities and discover native island forests filled with indigenous animal life. 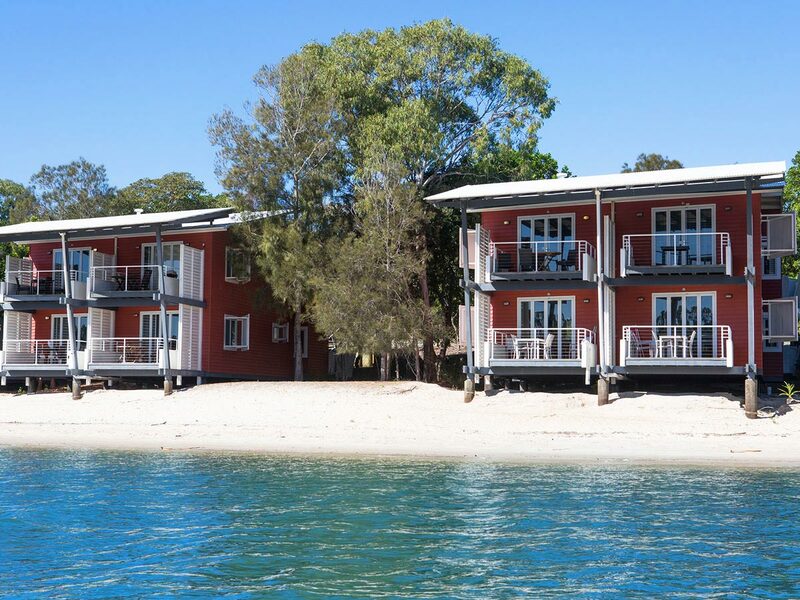 Couran Cove Island Resort's style is simple, pure, sustainable and practical, and perfectly reflects Australian traditions and heritage in architecture. All materials are from sustainable resources, in particular the use of timber and glass. 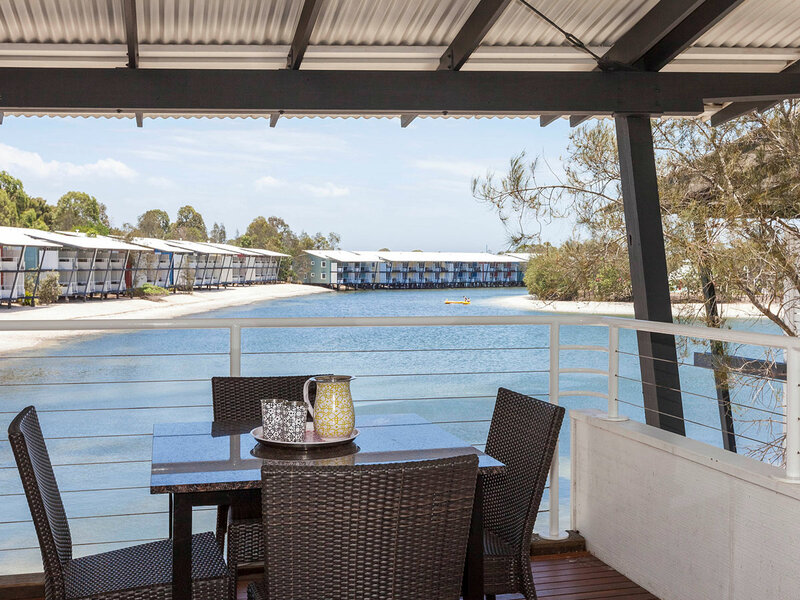 All cabins have solar hot water units and the veranda roof reflects light and air across the curved ceilings, creating an immediate sense of space and light in the room. The guiding motto for everyone involved with designing and building the Resort was how nature would have had it. 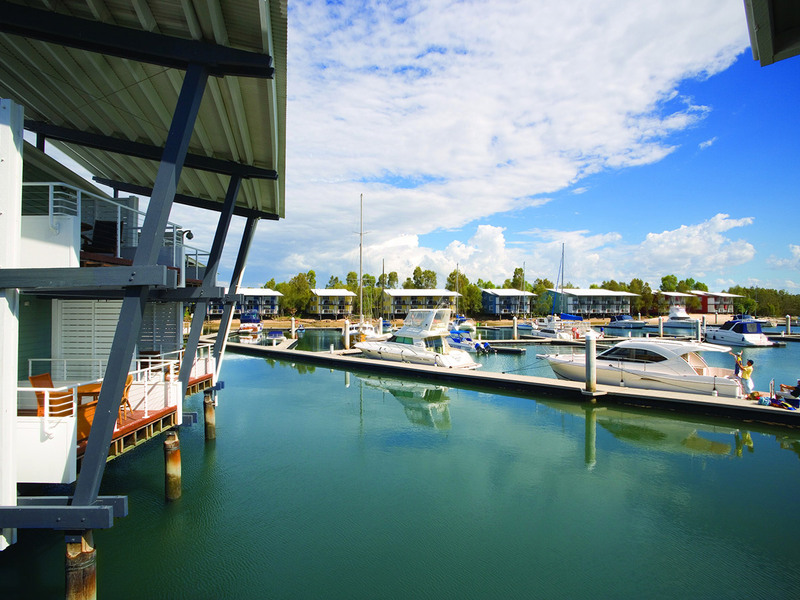 Couran Cove Island Resort is a Gold Coast holiday destination with a difference. Discover everything the Resort has to offer! 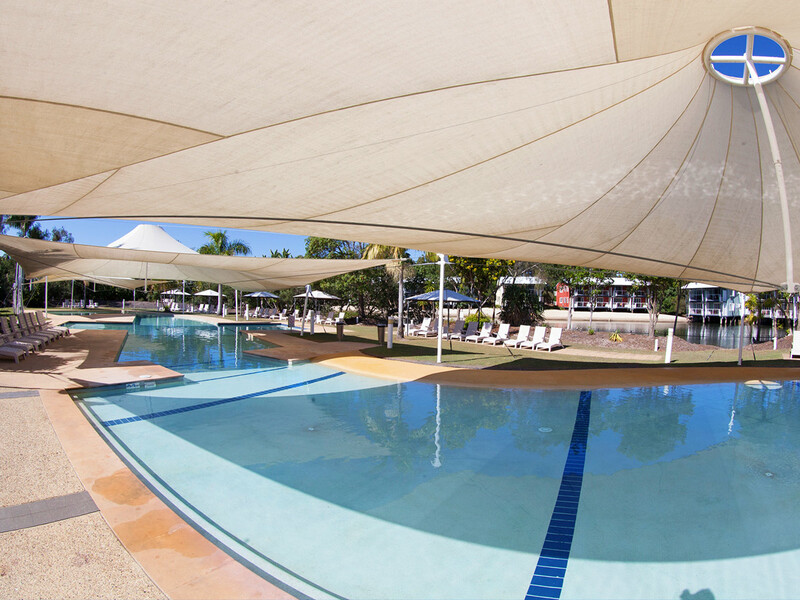 Guests can choose to spend hours at the Sports Centre or lounge by the pools on Spa Island. 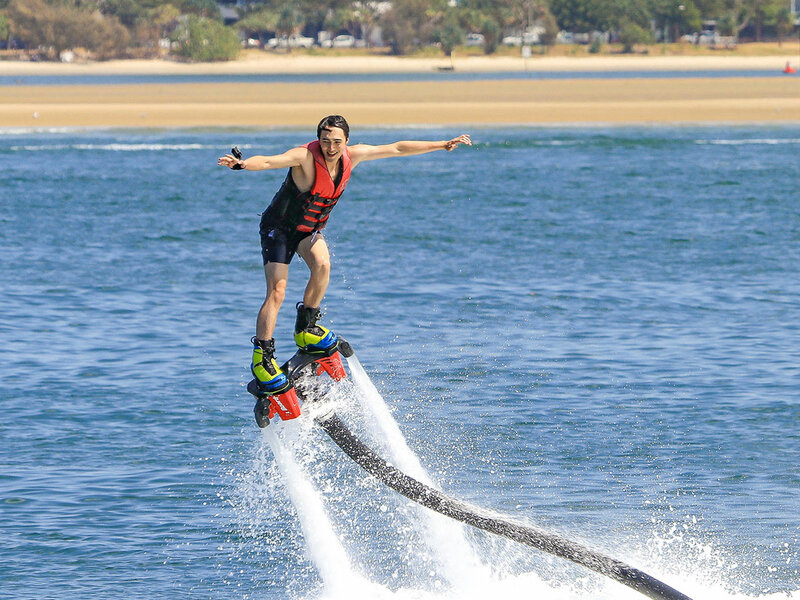 All the facilities, activities and equipment (excl. cycling) are complimentary to in-house guests. Whether you are looking for relaxation, indulgence, health or adventure, you will find a diverse range of pursuits to discover. 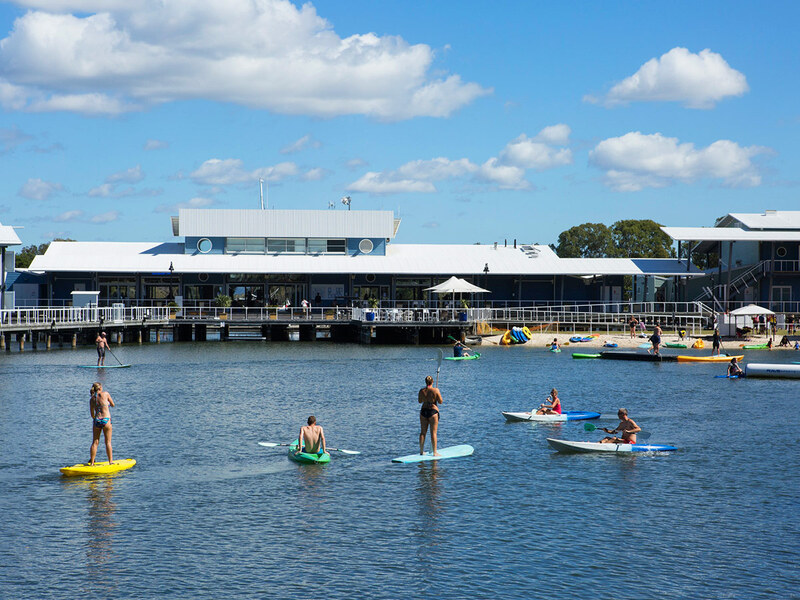 Activities Include: 25m heated lap pool, children’s pool, indoor cardio and circuit gym, running tracks, lawn bowls, 18 hole mini Putt Putt course, half-court basketball, cycling (fees apply), kayaking, stand-up paddle boards, tennis, ping pong room, giant outdoor chess, shuffle board, indoor cricket, beach volleyball, children’s playground. VR World: Step away from the slow pace of the island and race into the fast lane with the brand new Virtual Reality World (VR World) equipped with state-of-the-art simulators. At half time, relax at the VR Bar with a round of drinks and bar snacks to refresh you for the second half. VR World is a fun experience for adults and kids alike. Get ready for a good dose of healthy competition! 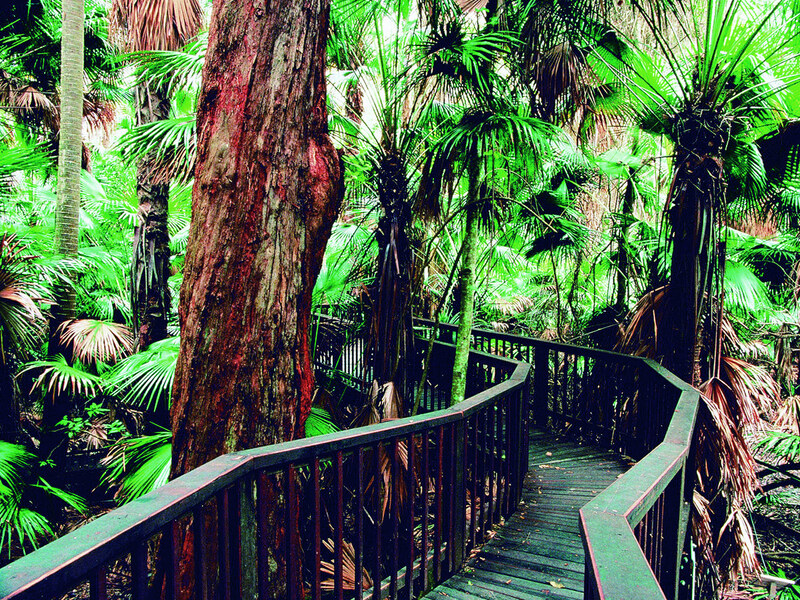 Discover Nature: there are a number of native bushland locations for you to discover and explore on your stay - the Mangrove swamp, the Banksian Rainforest, the Melaleuca Wetlands, the Eucalypt woodlands and the coastal sand dunes. The island is also a sanctuary for the native Golden Swamp Wallaby. At sundown every day, up to a dozen wallabies will gather on the Village Green to collect their food for the evening. The island is a bird-watchers paradise supporting over 205 species of birds including kookaburras, rainbow lorikeets, sulphur-crested cockatoos, egrets, curlews and sea eagles. Day Spa: indulge in a variety of massage options including Swedish, deep tissue, remedial / sports and Shiatsu. The Marlin Bar & Bistro - Contemporary and cosmopolitan cuisine, refreshing beverages and delicious delights – every taste is catered for. Open daily for Dinner and Lunch on weekends. Poolside Cafe at Spa Island - Enjoy the selection of sumptuous meals with your family. Open from 7.30am for Breakfast & Lunch Daily and Dinner during busy periods. Takeaway meals are now available, and be sure to check with Reception for special seasonal offers.. 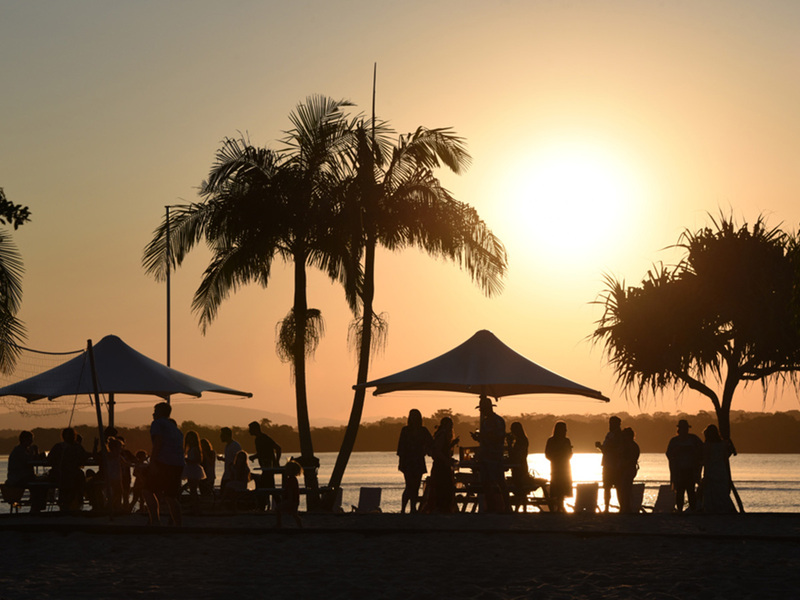 Boardwalk Bar & Cafe - Experience a taste of big city coffee culture whilst admiring the sunset and the beautiful boats on the marina. 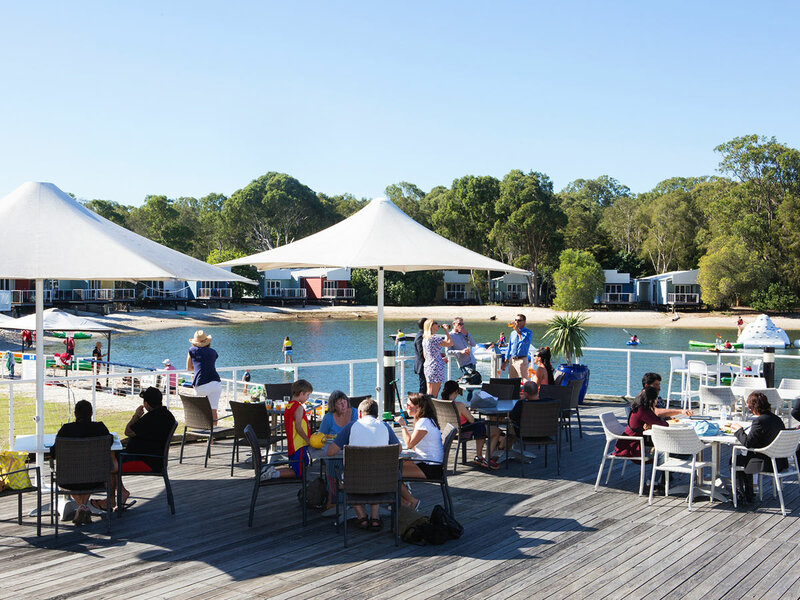 Open daily from 8am for coffee and light café-style fare, this inspiring and relaxing venue has a breakfast menu boasting muesli, fruit salad and yoghurt, muffins and wraps. The lunch selection spans home-made savoury items such as frittatas, quiches, focaccias, toasties and salads. As there are no roads to the island the only accessible way is by boat. 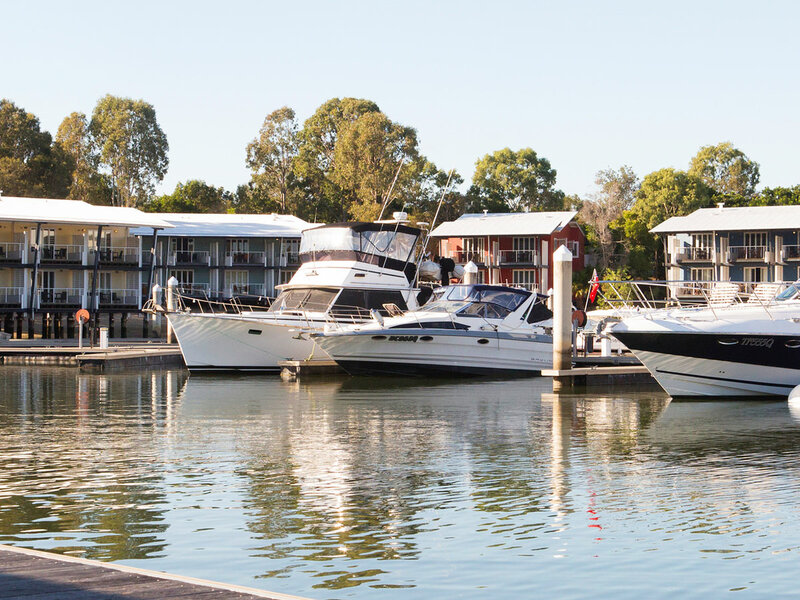 A relaxing short cruise along the Coomera River, with views of the luxury homes of Sovereign Islands and across the calm Broadwater to Couran Cove Island Resort is the perfect way to ease into your getaway mood. You are welcome to use your own boat and moor it at the marina (fees apply). 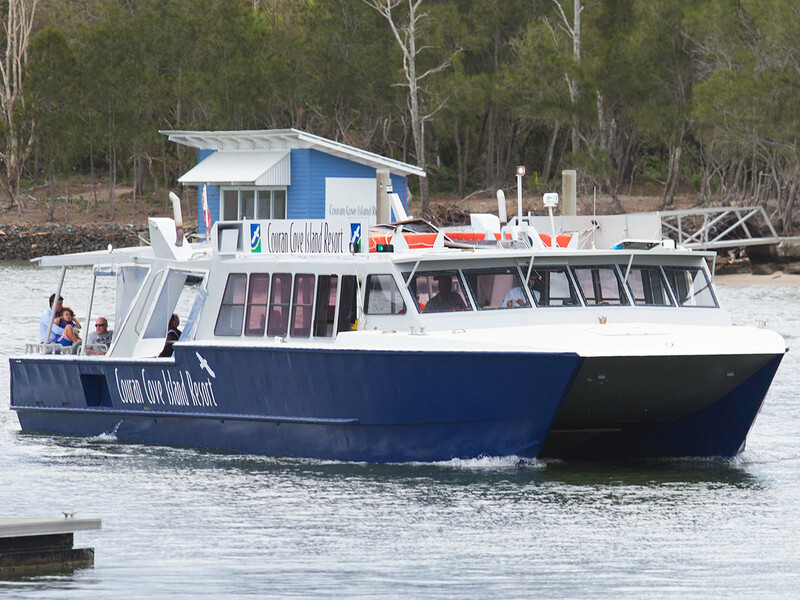 Ferry Departure Point is located at: Hope Harbour, 60 Sickle Avenue, Hope Island. Car parking fees of $7 per day apply. Maximum charge of $35 per week. 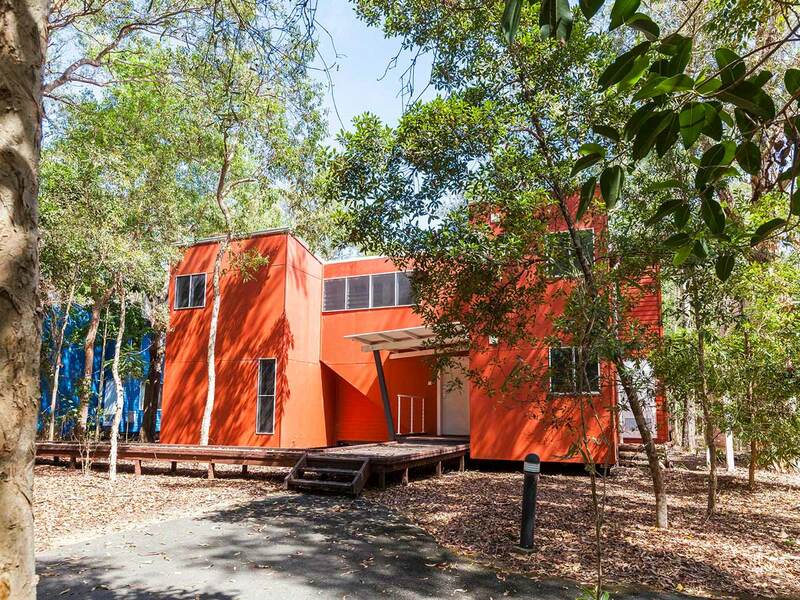 From Brisbane - travel south on the Pacific Motorway and take Exit 57 . Follow Hope Island Road and at the 6th roundabout turn left into Sickle Avenue. Continue along Sickle Avenue and at the roundabout, take the 2nd exit and follow to the Couran Cove departure point on the left. From Gold Coast (Surfers Paradise) - travel north on Gold Coast Highway / Marine Parade / Frank Street / Marine Parade to the Anglers Paradise bridge. Turn right into Bayview Street / Esplanade and follow to Matthew Flinders Drive, Hollywell then turn left. At the 2nd roundabout turn right onto Oxley Drive. Continue onto Broadwater Ave / Hope Island Road and at the roundabout, turn right (3rd exit) onto Sickle Avenue. Continue along Sickle Avenue and at the roundabout, take the 2nd exit and follow to the Couran Cove departure point on the left. 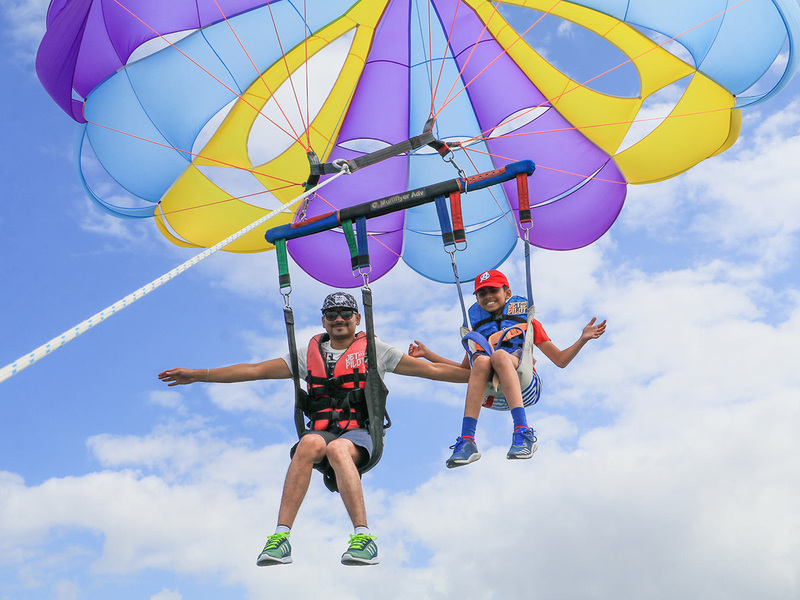 Cost is: $35 return per adult, $17 return per child (2-12 years). Infants under 2 are free.